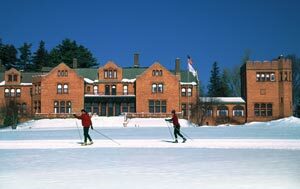 With 10 kilometers of scenic, groomed trails, Cranwell Resort, Spa and Golf Club welcomes all levels of skiers and snowshoe enthusiasts. 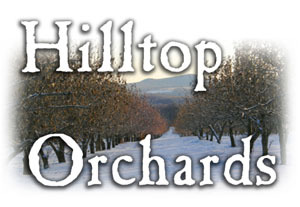 Whether you cross-country ski or venture out on an exhilarating snowshoe trek, this is a great place to spend an outdoor winter day. Conveniently located next to the popular Sloane's Tavern, our Ski Center offers a complete line of modern Rossignol Ski Touring rental equipment and Tubbs Snowshoes, as well as skier accessories and healthy trail snacks. 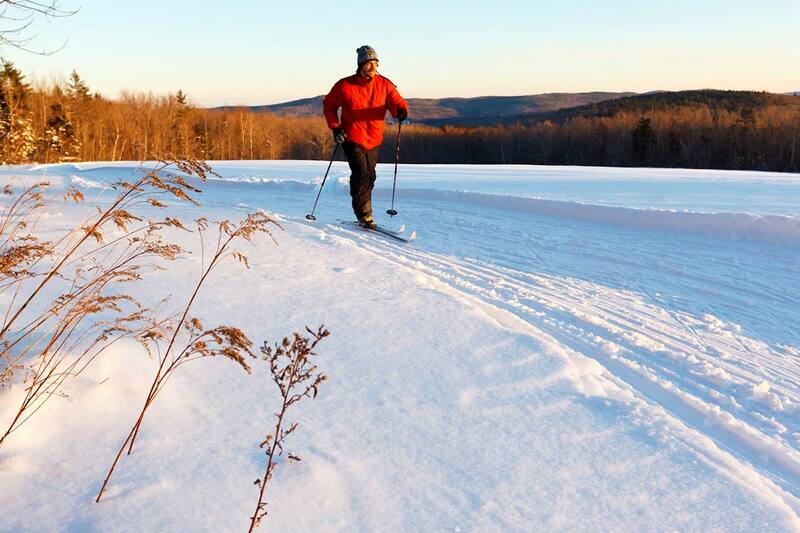 With over 3,000 acres of scenic forest and open meadow, Notchview offers an idyllic escape for winter sport enthusiasts of all ages and skill levels, from beginners to experienced skiers and snowshoe hikers. 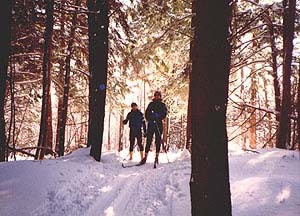 17 kilometers of trails are groomed and track-set for classical cross-country skiing; 10 kilometers are groomed for skate skiing. Young skiers can enjoy our sheltered Kinderloop, or check out our separate groomed trail system for “skijoring,” or skiing with dogs. 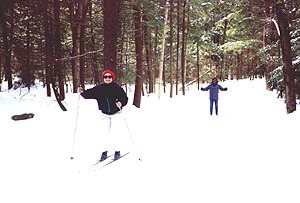 You can also snowshoe on newly-dedicated trails or go off track and explore the backcountry on either skis or snowshoes.